Welcome to Episode 37 of the podcast edition of The Aquarium Drunkard Show; airing live every Wednesday 2-4 p.m. PST at the Little Radio studios in downtown L.A.
Don’t call it a comeback! 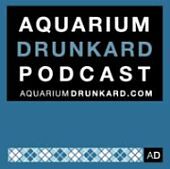 Boom – yes, the Aquarium Drunkard podcast series is back. Yes, its been absent a couple of months, but for good reason. The Little Radio servers crashed, therefore none of the DJ’s had access to our recorded shows, BUT that is all taken care of, so normal podcasting returns to the Drunkard. That is the good news. The bad news is that I have absolutely no clue what the track listing for the next few podcasts is…the show notes have long disappeared during the course the past two months. If you hear a tune you absolutely must know the name of, hit me up with an email and we’ll get you sorted out. Also: If you have not already, subscribe to the podcast feed and never miss an episode of the Aquarium Drunkard show. Just put this feed in iTunes or your preferred podcatcher. I love all the songs I need the whole tracklisting! Yes, this is fantastic news! What happened an hour in did you just get up and leave never to return? Now im wondering what some of those songs are. Jckinnick, no idea…I never listened to this show. It was recorded 2+ months ago at little radio. Email me if you have specific song questions. Sure I can figure it out. Can you send me the tracklist ?